Show on google maps Deep forests and thousands of dazzling lakes are perhaps the two most prominent features of Småland’s nature. Here, traditional and organic food is cherished and Småland’s nature is often used to inspire local menus. Taste the flavours of Småland as you venture along the various trails, and don’t forget to pick the fresh and plentiful lingonberries. Reserve spots at this table and enjoy the beautiful surroundings together with friends and family. The table is located at Asa Herrgård only 45 minutes by car from Växjö. The table is bookable every Tuesday and Thursday between May to September. 1. Book your seats at the table for free. Please note that the booking is for seats at the table and DIY recipes – no meals are included in the booking. The table is bookable every Tuesday and Thursday between May to September. You won’t be short of adventure in Småland. Thrill seekers can test Europe’s largest zipline at Little Rock Lake Zipline. Fly through the tree tops and finish off with a locally produced meal in the Fine Forest Restaurant at base camp. Explorers are also catered for at RAMOA Outdoor Activity. Take a canoe out onto the lake to a small island where a cosy accommodation awaits. Fall asleep to the sound of the waves and wake up to the sound of birdsong. Dinner or breakfast can be delivered directly to the island. 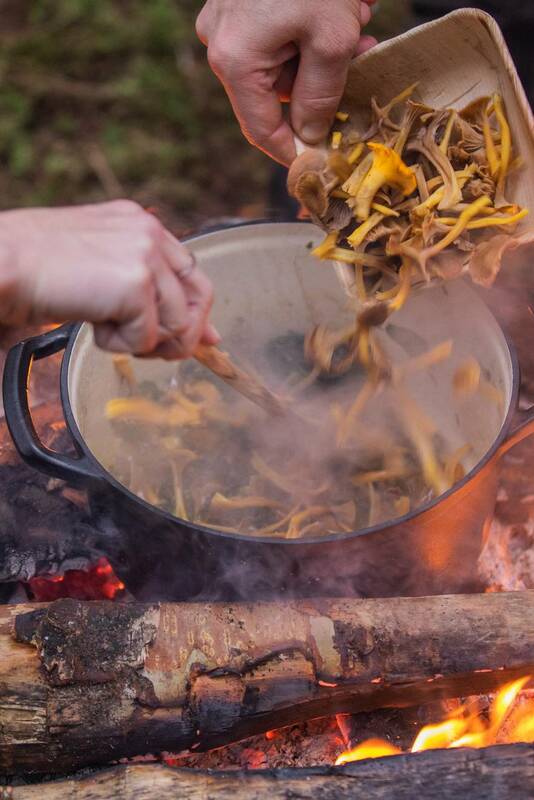 Isaberg Mountain Resort, with southern Sweden’s largest mountain bike arena sits in the west of the Småland forests and offers a cuisine inspired by the best tastes Småland has to offer with outdoor cooking workshop at Restaurant Höganloft. Find out more about activities and local food experiences in Småland. Korrö health and gourmet walks. Swedish seasonal and traditional culinary experiences – the Småland way: Wallby Säteri. Make a slow breakfast together in Åsens village.